There are some things in life that you can get away with choosing the DIY option for without too much in the way of negative consequences. Woah, STOP! Wait a minute, rewind: straightening your own teeth? You might think that this would be obvious and that there’s no need for a blog about this topic, but the unfortunate reality is that, worryingly, home teeth-straightening kits are now becoming available. Inspired by the success of Invisalign, the genuinely innovative and effective alternative to traditional braces, a plethora of copycat companies have started putting their cheaper versions of aligners onto the market. The thing is, when it comes to something as important as your physical appearance, you do not want to say ‘I’ve got the cheapest smile I could get’, you want to say ‘I’ve got the best smile I could get’. The copycat aligners are cheaper for a reason. Firstly, it’s always cheaper to imitate a properly developed idea than it is to come up with it yourself. But, of course, as with any copy in life, elements of quality and detail are lost in the process. A key element of the Invisalign process is the high-quality 3D mouth scan using the latest technology, which forms the basis of the entire clear aligners process. Some of the imitation brands do not even require you to attend a professional dental clinic to get a scan, instead sending a kit for you to make your own dental impressions, which they then use as the basis of treatment. Consider that for a minute: how comfortable would you feel investing thousands of dollars when you’re being asked to perform a task that is the specialty of orthodontists? The upshot of this is that the aligners will often not fit properly. The aligners also tend to go onto the gums, making them uncomfortable to wear. Speed and efficiency of treatment is another consideration. Firstly, the time between your mouth scan being taken and your Invisalign aligners arriving can now be as little as 2 weeks or even less, which is quicker than the service offered by the imitators. 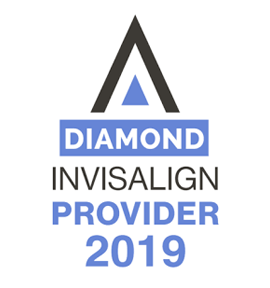 Secondly, the process offered by the imitators takes longer than treatment with Invisalign, which now offers a revolutionary weekly aligner change that enables successful teeth straightening to be achieved within a remarkably quick time of just 6 to 9 months. Another thing to think about is how you’ll maintain your new smile once you’ve achieved it through teeth-straightening. When you get your teeth straightened with Invisalign, upon completion you’ll use Vivera retainers, made with the same clear high-quality materials as Invisalign aligners, to help keep your teeth straight. Vivera is the gold standard when it comes to retainers, due not only to the high quality of the materials, but also the fit and the way in which it is cut to the gum line. It also comes in a set of 3 pairs, so you’ve always got backup, and re-orders can be made from the original perfect 3D scan, and delivered within a week. The same cannot be said of the non-Invisalign imitations, with users sometimes finding that retainers do not fit because the movement of their teeth has not been tracked throughout the process. For many people, price is, understandably, a key consideration when it comes to getting their teeth straightened. However, it cannot be stressed enough that when it comes to something as important as your teeth, gum and jaw health, you definitely cannot afford to cut corners. Price should not be prioritised over quality, comfort, speed and sustainable results. A poor outcome that then requires correction by a more reputable method and experienced dental professional is a false economy: you’ll pay the price in the long term.